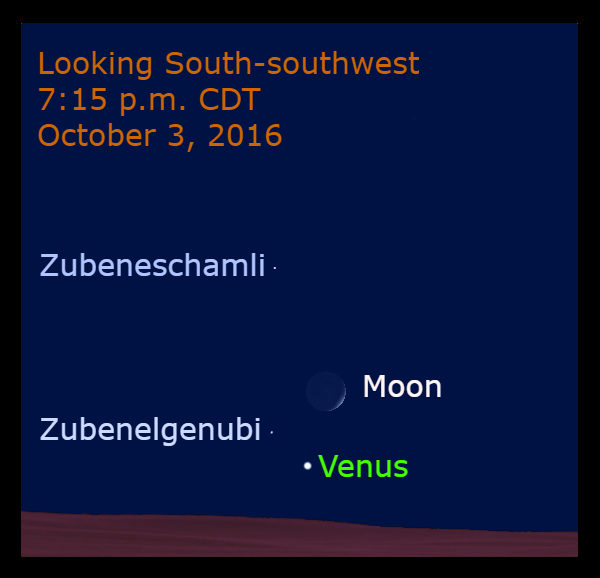 Venus and the moon appear close together on the evening of October 3, 2016. They are separated by about 2.25 degrees. Venus is making its appearance in the western evening sky.